If change is necessary, or even desirable, that change must be internally driven. No matter how real the lack of time, resources, energy, or constituent support for such change, change, if it is to happen, can only be generated from within. The fact that elements of the art world do not like this reality and would prefer not to deal with it does not obviate the necessity, for them and for the arts community as a whole, of doing so. A graduating theatre student, child of Mexican immigrants, was speaking (in Spanish) with a stranger in a Latino grocery store. He was asked what he was studying. The stranger’s lack of awareness of contemporary theatre in the U.S. was, no doubt, exacerbated by a language barrier. But his disconnection from live theatre is far more typical of the general populace than not. It reflects a small difference in degree, not a substantial one in kind. The arts are simply not a vital fact of life in the U.S. for any but the truest of true believers. If it were otherwise, funding, attendance, perceived relevance, and visibility (to name a few issues) would not be the challenges they are. The arts community can choose to decry what it identifies as the sources of this disconnection–poor public schools and arts education, societal focus on trivia, lack of reflective capacity, a grossly materialistic culture, etc., but gnashing of teeth serves no constructive purpose. It can also advocate vociferously for change in those other sectors as solutions to the arts world’s problems. But, there is no force or constituency external to the arts community that can or will apply its influence or resources to make the arts more relevant to life as lived in this country. Nor, upon honest reflection, can any be expected to do so. The responsibility for that rests solely with the arts community. If change must come from within, it is important to understand the nature of and players in the arts industry. The arts infrastructure as it exists in the U.S. today has essentially two halves. One is the “front lines:” producing and presenting organizations and artists. The other is the support structure that serves direct arts providers. The thoughts that follow are designed to stimulate thinking about steps to be taken in organizing and implementing an enhanced focus on community engagement. Of the two halves, the support structures–arts service organizations, arts training and education programs, and funders (private foundations and government agencies primarily)–have the advantage of not being “in the trenches.” They have the luxury of a longer and broader view of their respective areas of interest and time, in comparison to those on the front line of the arts, to digest trends and insights in the field. By virtue of their connections with multiple arts providers, they have the capacity to reach numerous organizations at once, and, to one extent or another, they have standing with their constituents to advocate for change. At the same time, since they are all constituent driven, there is sometimes a countervailing tendency for them to be beholden to the habits and opinions of their members–a relationship that has occasionally had the result of stifling or delaying change. On the national, regional, and state levels, arts service organizations can best support change in arts organizations. They can do so through the information disseminating vehicles at their disposal–print publications, electronic media, workshops, and conferences. Those that have funding mechanisms can redirect current or channel new financial support to training opportunities for members (e.g., externally run workshops) and projects for direct transformation of individual organizations. Local arts agencies, with their immediate connections with artists and arts organizations may well be the most productive vehicle through which to effect change. The best mechanisms for reaching LAA’s would be through their specific state and national service organizations. Artists need training in how to be in community at the same time they develop their requisite arts-specific skills. Not all artists pursue a degree in higher education, but those that do would benefit from the type of instruction suggested here. While a few undergraduate and graduate artist programs in higher education have made great strides in preparing their students for engaging with communities (the Eastman School of Music, New England Conservatory, and the Rhode Island School of Design are but three examples) and others are beginning to add engagement and entrepreneurship to their curricula, broader efforts would be helpful. In particular, working with the principal arts program accrediting bodies (e.g., National Association of Schools of Dance) and the discipline-specific support organizations (e.g., College Music Society) would assist in raising awareness about this category of training and in providing recommendations on how to include it in curricula. Similarly, arts administration students need exposure to the principles and practices of community engagement. As with artist education programs, some arts administration programs place heavy emphasis on community engagement. As mentioned earlier, the Association of Arts Administration Educators has developed a curriculum standard for community engagement education, though addressing the standard is not a requirement for membership. While very few foundations exist exclusively as arts infrastructure, the Catch-22 issue referred to earlier, where neither arts nor social service funders view community-focused arts projects as falling within their mandate, needs to be addressed. In addition, foundations and government funding agencies need to be made more generally aware of the potential for community improvement that the arts represent. As but one idea in practice, the NEA under Rocco Landesman has partnered with numerous other federal agencies (e.g., Education, HUD, Veterans Affairs) on arts-related projects, gaining access to funds otherwise unavailable. The foundation service world can provide an access point for educating foundation leadership just as arts service organizations can serve that role for their constituents. It is on the front lines of the arts world where the community is actually engaged. 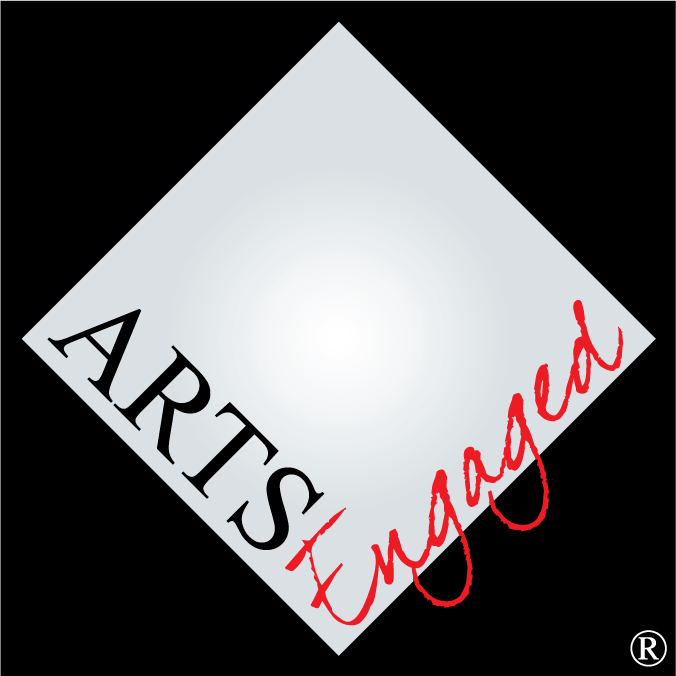 As has been described earlier, the path to engagement begins with the artist or arts organization committing to engagement as an essential role. Artists and arts organizations have two basic modes through which they can do this work. The most obvious is participation in community-focused arts projects; programming is central to engagement. The other is simple community citizenship–providing neighborly service as resources allow and participating in community-betterment projects even when they are not arts related. Arts producers are those who directly create art or curate and organize arts events: art museums, performing arts organizations, and artists. Each category presents its own opportunities for connecting with the community. Reaching them through arts service organizations has been discussed immediately above. Another vehicle for change, not unrelated, is through the experience of peers. Awareness of successful examples that enhance viability provides inspiration and legitimizes engagement as a viable option. As discussed earlier, art museums engage communities through education, historically one of their three core functions. Exhibits designed around community issues and interests are a beginning. Related educational programming draws visitors, encourages discussion, and enhances a sense that the museum is interested in the community. Such work positions a museum to be seen as a valued member of the community. In addition, the 4C self-image articulated by the Walker Art Center (Container, Convener, Connector, Catalyst) or the Queens Museum’s view of itself as a Community Hub add depth to engagement. It is in the immediacy of performance, direct contact with performers, and shared experience (with other attendees) that performing arts organizations have their power. Performances gather groups of people together, groups that can be encouraged to participate in discussions, presentations, and follow-up events related to the performance. As performing arts organizations become more adept at collaboration and at programming that is responsive to community interests, they will reap the benefits associated with being valued by an ever-increasing percentage of the population. Artists are crucial to community arts activities. They are often the face of community engagement, so it is essential that they be trained in and adept at this work. The current lack of training for artists in this skill has been discussed before. Yet even simple non-arts human interactions (e.g., mundane tasks as simple as picking up the dry cleaning) can be powerful in establishing connections that support more substantive work. Being seen as a member of the community goes a long way toward breaking down the “heroic artist” barrier that prevents some from seeking out the benefits of the arts. The experience of the NEA’s rural residency program attests to the power of this element of engagement. In 1992, the Ying Quartet lived and worked in Jesup, Iowa, a farm town with a population of about 2000. Their presence and work in the community electrified Jesup and transformed notions about what being a musician meant. Artists who add in-depth training in engagement to the rich dynamic of personal presence can be powerful change agents. Presenters take artistic product created by others and make it available to the public. Performing arts series, museums and galleries that mount traveling exhibitions, and concert/theatrical venues that do not produce their own programming fall into this category. Presenters are uniquely positioned for community engagement work. Functioning as curators (choosing the art work to present) they select from a vast array of options available regionally or nationally. Choices can be made that are particularly suited to their locale’s interests or issues without the burden of mounting the production or exhibition. Since their missions are often even more directly tied to community support than that of others cited here, a community engagement agenda can be particularly valuable to their sustainability. In what direct, tangible ways are the lives of specific people in your community outside of the arts world made better by your programming and other activities? Does your work look substantially different from your peers’ and is it perceived as such by your community? These questions highlight the intense involvement in community engagement that is required to be effective in it. Meaningful answers take an organization far beyond and much deeper than traditional outreach programming that has as its principal intent increasing audience size. Colleagues whom I deeply respect challenge me as to whether I believe all arts organizations should adopt community engagement as central to their mission, whether excellence is not enough of itself. I am a product of the established arts infrastructure, so it has taken me a long time to sort through what I think about this question. I now believe that, in the abstract, excellence alone may be sufficient justification for the existence of an arts organization. But there are important questions that organizations citing excellence as their raison d’etre should answer, and, to my mind, there are few that, as a result of those answers, can reasonably eschew a heavy emphasis on community engagement. Before addressing those questions, however, some observations need to be made about the limitations that can be imposed by “excellence only” or “excellence primarily” missions. Excellence in this context often implies (but need not be limited to) a single genre of a single culture. At the 2011 Conference of Americans for the Arts, Felicia Filer–Director, Public Art Division, City of Los Angeles–observed that, “Any arts organization that is culturally specific in art or audience is not sustainable.” While that is a broad generalization subject to many caveats and exceptions, the essential point is a valuable one. Inclusiveness in programming as well as in relationship building is vital to the health of arts organizations in the U.S. of the future. (And, arguably, the present.) It is especially important to acknowledge that many mainline arts organizations are culturally specific in their offerings without realizing it. Eurocentric programming can no longer be monolithically normative. A majority culture has the luxury of not thinking of itself as a culture, just as whites in the U.S. have not in the past been required to think of themselves as “white,” a luxury not generally enjoyed by other populations–blacks and Hispanics for example. European culture has been the unexamined template for the arts. In its light all alternatives have been “other.” Filer’s observation highlights the fact that Eurocentric programming is and will be increasingly subject to the same pressures and limitations as the artistic expression of any other culture. The first step in addressing the issue is acknowledging the cultural specificity of much programming by established arts organizations. Of course, Ms. Filer’s comment applies equally to culturally specific arts organizations focused on non-European cultures. And the practical issue remains the same. As a means of refining the point and opening more breathing room for each culture’s art, perhaps it would be valid to say that “Any arts organization that is culturally specific in art or audience and that does not actively connect with individuals and communities not directly part of its culture–making that art meaningful to them, is not sustainable.” This, then, is a direct path back to the questions presented above highlighting the seriousness of an arts organization’s commitment to being a member of its community. So here are further questions, both practical and values-based, to be considered by arts organizations with a mission focused exclusively or primarily on excellence, organizations that do not choose community engagement as a significant part of their mission. Is the cultural expression at which you excel one that is sustainable for the foreseeable future? Excellence in the performance of Gesualdo’s music or John Heywood’s plays does not undergird entire industries today. How long will it be before your work is considered historic reenactment rather than living art? Can the expense of your excellence be covered through fundraising if you are not widely seen as a community resource interested in and touching the lives of all? Given demographic trends in this country, for how long will the resources (human and financial) required to support this culturally-specific work be socially and politically acceptable? And even if the art is sustainable, is your level of excellence so unique that it is justifies focus on that excellence without significant attention being paid to community involvement? Why are you resisting community engagement? Is it really a concern about losing focus on excellence or is it about attachments to a familiar medium, genre, or cultural heritage? Varieties of perspective and cultural influence have always been beneficial to the development of the arts. Community engagement is a direct path to that variety. It is arguably the road to on-going excellence. In general, then, it would appear that community engagement is an essential core value that should be central to the mission of almost all arts organizations. At the same time, some few orchids of culturally-specific excellence not substantively engaged with their communities may continue; they should be cherished as long as they can be viable. However, they should choose their course with eyes wide open. Change on the scale envisioned here can only be accomplished if every element of the arts organization is committed to the change and to maintaining the process of implementing it over a very long period. Board, administrative and artistic staff, and volunteers must understand the importance of pursuing a new direction and be ready to articulate the reasons to a curious or skeptical public. To develop the social, economic, and political support that will be required for survival, artists and arts organizations must learn how to work with the members of their communities in exploring the meaning of the arts and the role they should play in all of our lives. The goal is to become vital members of our communities, partners in all that is important to those communities. In explaining the significance of community roots in securing audiences and support for arts activities, I tell my students, “All the arts are local” (with apologies to the late Tip O’Neill). This is not just a statement about making our product viable; it is also a statement about where we are most able to be an agent of change in people's lives. It is in understanding ourselves as community builders that we can find the key to our future and fulfill the call that led us into this profession in the first place. What we are facing in the next generation or two is only a crisis if we believe that the continued existence of established arts organizations is important. As stated in the beginning, the arts will always exist. It’s only the organizations about which there is any doubt. If their survival is important, those organizations, for structural and, in some cases, philosophical reasons, are in serious jeopardy. It is a crisis. If their survival is not important, why worry? My primary reason for urging change in the established arts community is that the arts have so much to offer to every member of our communities and the benefits the arts can represent are not now reaching very far into those communities. Also, we as a society have invested much in an arts infrastructure that could and should be turned to a far broader public good. Finally, the arts that the established institutions present are powerful and meaningful. They have much to offer everyone. If established arts institutions gradually fade from the scene as a result of social irrelevancy, then the arts they present will also be lost. That would be tragic. Perhaps the most critical transformation necessary is a re-imagining of the arts world’s understanding of and relationship with the community in which it exists. Our communities should not be seen as a collection of market segments to be tapped in an effort to sell tickets or extend “reach.” Communities are not resources to be exploited in the interest of furthering the health of the organization or even the arts as a sector. It is from community that the arts developed and it is in serving communities that the arts will thrive. It is not the arts that are central here. It is the community. Even the self-focused artist in the “heroic” mold is subject to this truth. Their work will only endure if it enriches the community over time. It will otherwise fade to oblivion with Ozymandias. The same is true of arts organizations. It is the creation and support of healthy, vital communities that provides the justification for the expenditures of human and financial resources that the arts require. Communities do not exist to serve the arts; the arts exist to serve communities.